Hey! It’s our first visit (in a long time) to someplace other than Scandinavia or Japan! Off to London with a three day stay in Kent for our friends Hollie & Pete’s wedding. After a slightly terrifying taxi ride from the airport (did you know you can prebook a taxi that will meet you at the airport with a sign? 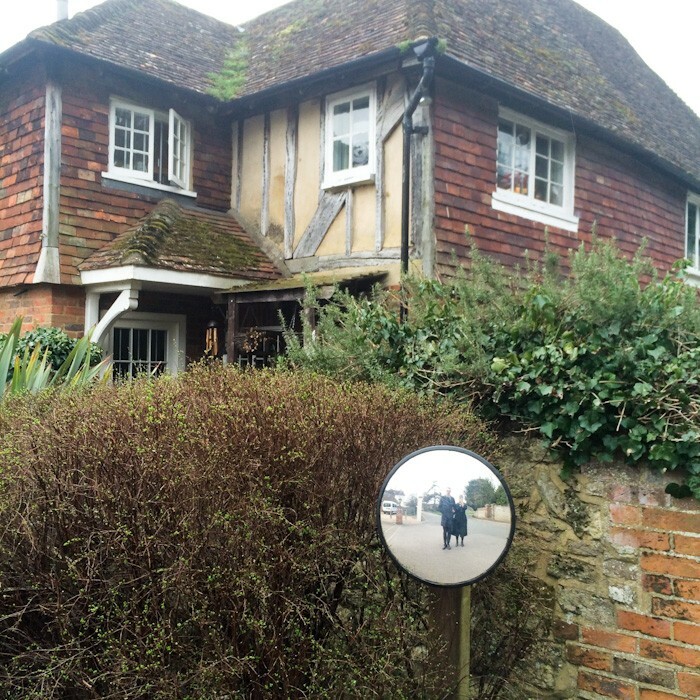 Much better than traipsing through London with luggage on the tube and train after no sleep) we took a walk in the nearby village of Bearsted to grab a bite at a pub and take in the spring scenery. Hi! We’re terrible at selfies and we’re ok with that. 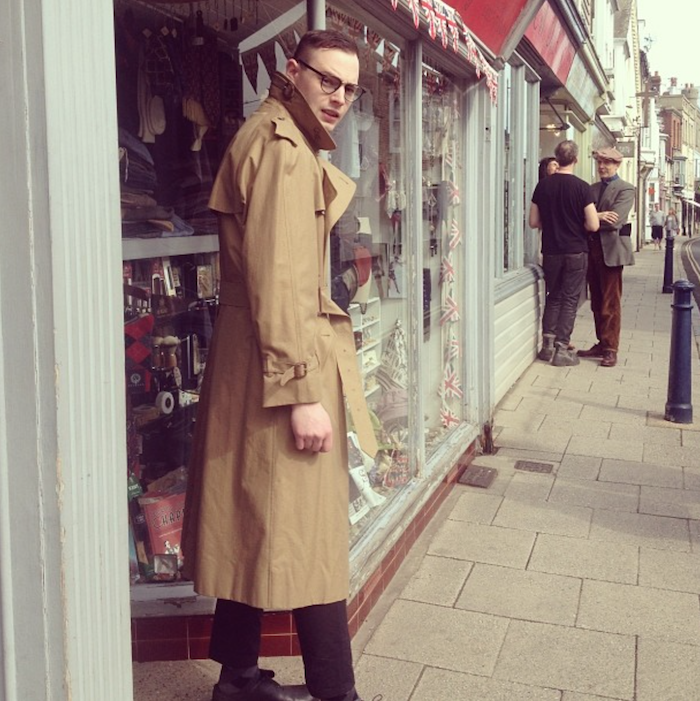 Day two meant a hen spa day for me, and a trip over to Whitstable for John. 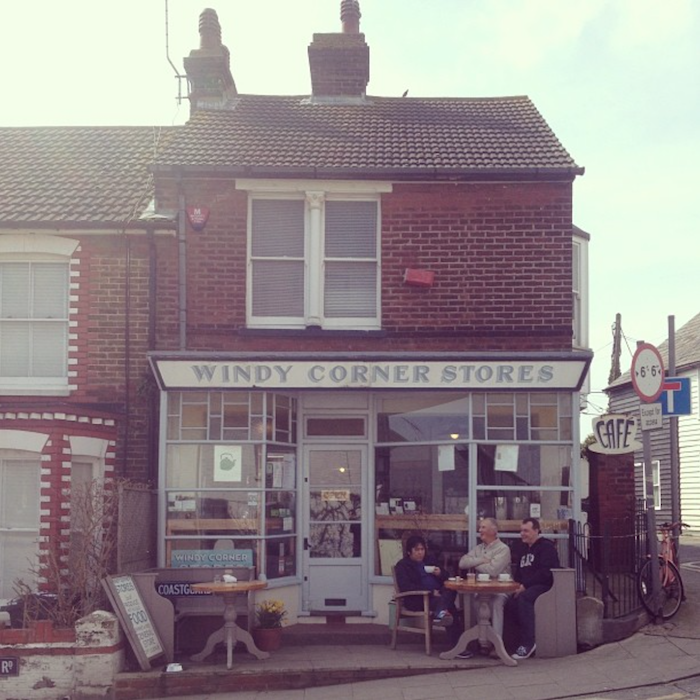 Windy Corner Stores is a cute cafe. 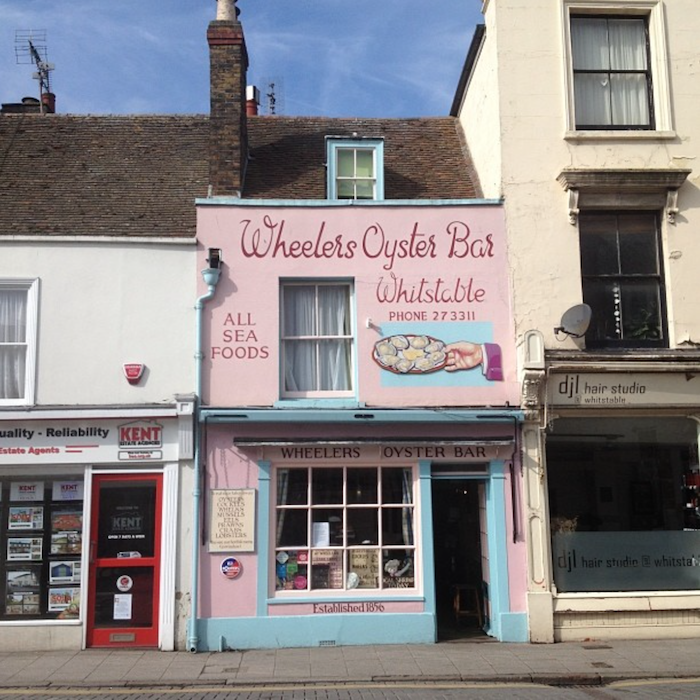 Lunch was full at the highly recommended Wheelers Oyster Bar. Next time! 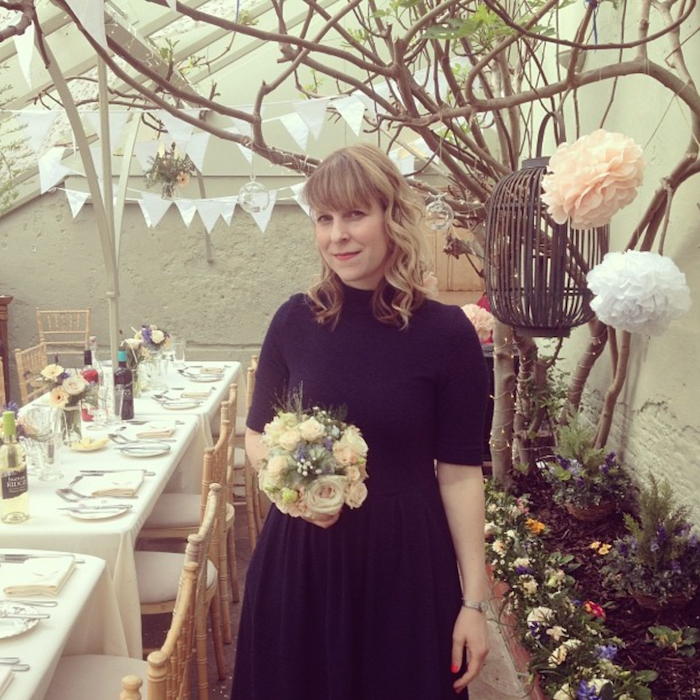 A perfect intimate wedding at The Secret Garden. Probably my last turn at bridesmaid. 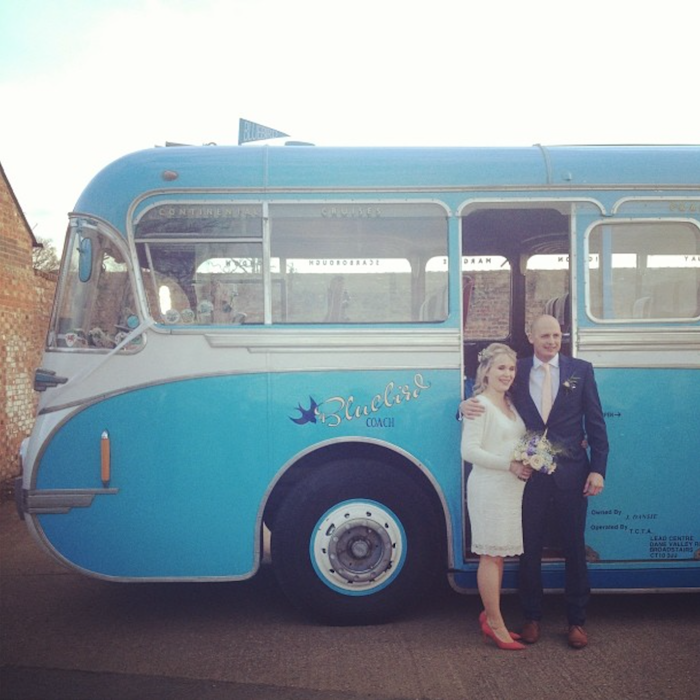 Had to share this photo of the bride and groom, in front of this super rad Bluebird Coach. Coolest. I missed out on getting some inside detail shots, like the milk glass electric lights. 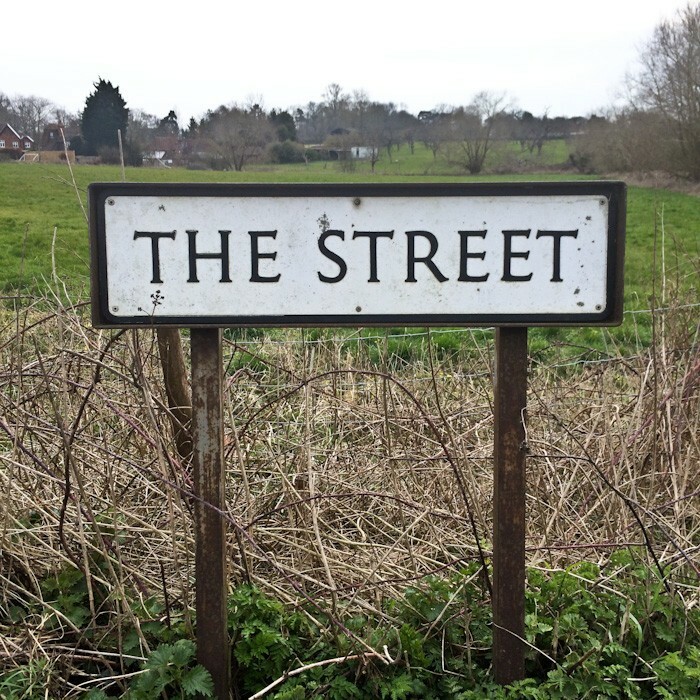 Kent was a nice easygoing start to our trip.